Food plants for his species are several species of Senna. Mature larvae are apparently green with a yellow band and blue spots (Valentine). 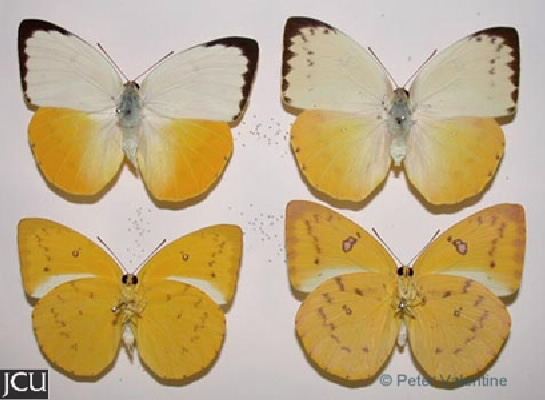 Adults have a white to cream fore wing with a black marginal band; hind wing is orange to orange-yellow.